Chasing the latest fad can be costly. One year’s “hot performer” can easily become next year’s laggard. 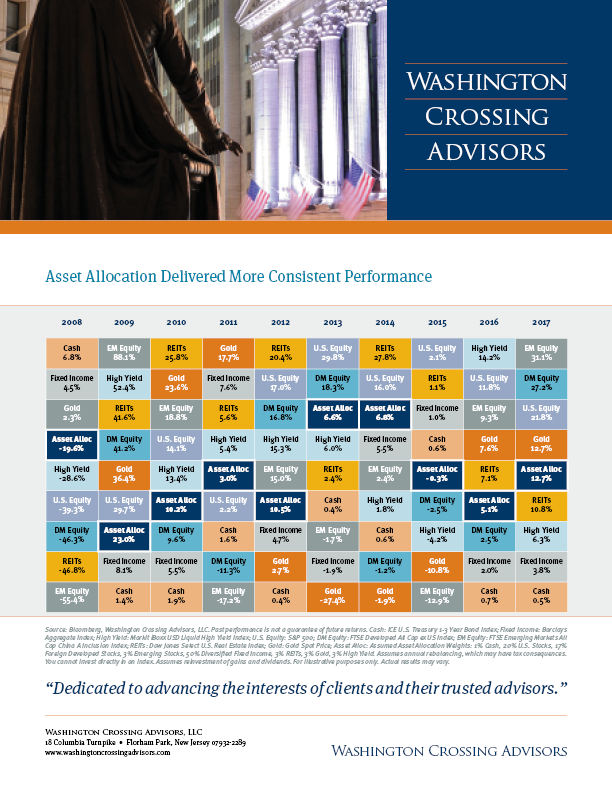 A diversified portfolio across multiple asset classes has tended to deliver a more consistent result over time, which can help you stay the course over time.